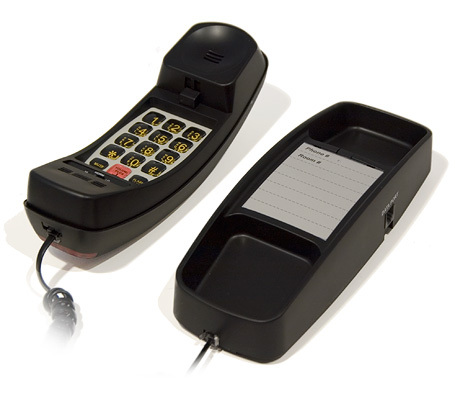 The TL420 is Inn-Phone®’s most popular low cost, trimline telephone for guest room hospitality applications. The TL420 comes with Inn-Phone's unique Heavy Base electronics enclosure. The Heavy Base design helps minimize breakage as compared with lighter phones that can more easily be dragged from desks and workspaces resulting in breakage and more frequent replacement. 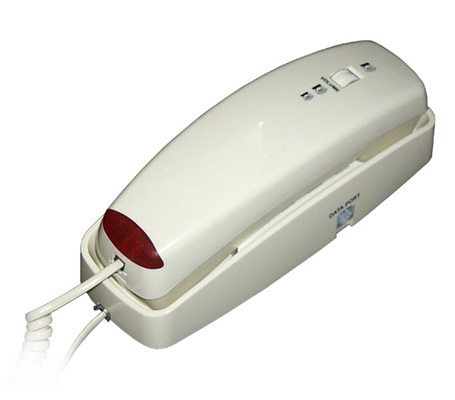 If you are looking to buy telephones for hotels, motels in the guest room telephone industry, the TL-420 is a perfect choice. The TL-420, like all Inn-Phone hotel phones, comes with free customized face plates (minimum order applies) and face plates can typically be completed and shipped in less than 24 hours after design approval. The TL-420 meets hospitality room telephone standards for most economy, limited service brands and exceeds ADA requirements for volume boost for hearing impaired guests. 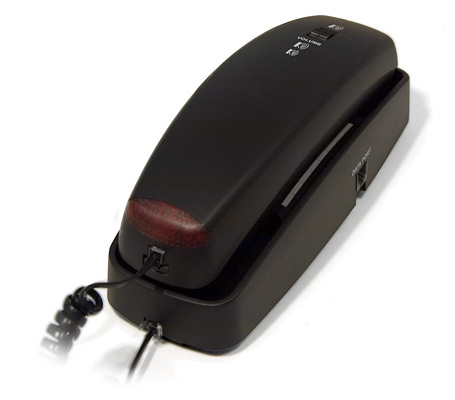 Available in black, cream or red, the TL-420 can be used in desk top or wall mount applications. 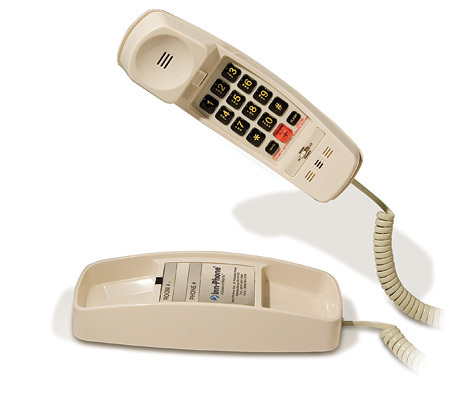 The TL 420 is the ideal choice for a very low cost, yet reliable second guest room telephone option or for use as a courtesy phone or service phone for hotel guests and staff. 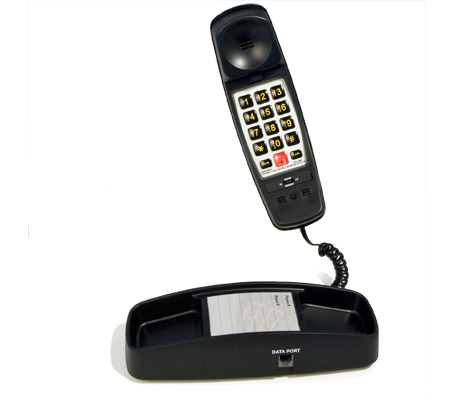 Contact Inn-Phone today for a free sample or quote for our TL-420 guest room telephone!